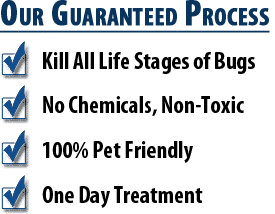 How Bed Bug Exterminators Work? 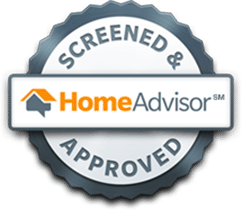 When you are about to call the bed bug experts to eliminate your bed bug infestation, you may wonder what steps they take and whether you need to be concerned about the safety of their procedures. Here are some know how that you will find useful. 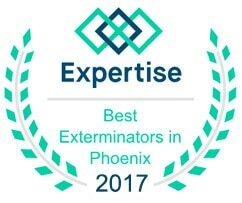 Exterminators who are hired to come in and inspect a bed bug infestation will come prepared to inspect the whole residence. They begin by initially inspecting the room that is thought to be infested as well as checking the adjoining rooms. Our bed bug experts are trained to check the right places such as crevices and cracks in beds, floor, and furniture to identify signs of infestation. A bed bug infestation is always necessary to understand the level of infestation and suggest the best route of treatment. Once the areas to be treated are identified, furnishings and bed linen would need to be removed. If closets need to be treated, they will need to be cleaned out, The exterminator will be able to advise you on the next steps after the inspection. Treatment depends on the kind of infestation that is found. 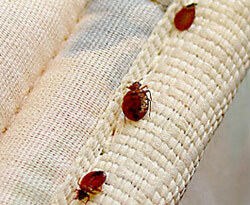 The two options for treatment is a chemical/pesticide spray or bed bug heat treatment. There might be cracks that need to be sealed to prevent further entry of such bugs. The exterminators might need to reinspect 30 days after treatment in order to ensure there is no evidence of living bed bugs. Also, as the bugs lay eggs and proliferate quickly, it is necessary to check from time to time to ensure further generations of bugs have not risen up in the same places or others. 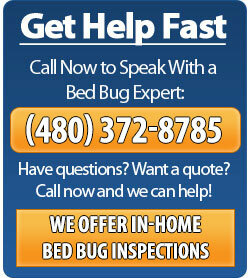 In most cases, just a one-time treatment to get rid of bed bugs will work. The main difference between the two treatments is the time it takes to be effective. A chemical spray can take up to 30 days while a heat treatment will work instantly on the day of treatment.